Are you a high school student interested in visiting the University of Dayton School of Education and Health Sciences? Submit a visit request form (link below) or call us at 937-229-3146. 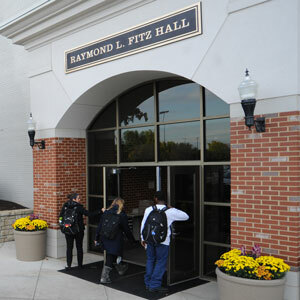 We'll help you plan your visit with the department that interests you most — Health & Sport Science or Teacher Education. During your visit, you can learn more about academic program options, meet our faculty, observe a class and even shadow a current student. We encourage all of our prospective students & their families to experience a UD campus tour, led by the Office of Admission. And to make your campus visit even more rewarding, incoming, first-year students who attend an official campus visit and file the FAFSA may be eligible to receive up to $4,000 for your textbooks (over four years) upon enrollment at UD. 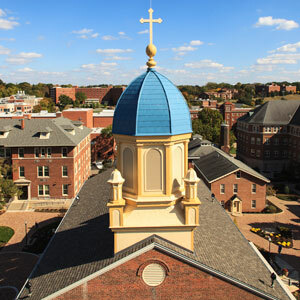 The University of Dayton offers multiple admission events throughout the year, including open houses, overnight experiences and admitted student events.